One of handy video capturing gadget is Video camera. What if its size is reduced to a size of Bluetooth earphone? It will be amazing isn’t ? 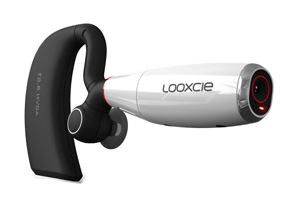 One of such product available in market is LooxcieCam a wearable video camera. 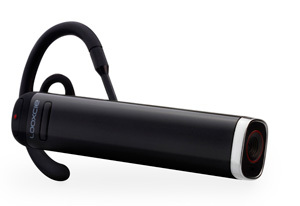 It sits comfortably like Bluetooth ear phone on your ear and records everything you see. It’s upto your choice to choose which ear to wear. You just need to position it over your ears and adjust the camera to point where you look and press a button to record full motion video just like a camcoder. You can use your phone as a viewfinder for LooxcieCam. Mini USB port to transfer data to your computer. Some moments in our life just pass in a blink of an eye. But, having a Looxcie cam will allow you to capture the moments continuously. Even a single click will allow you to share last 30 seconds of video instantly with social networks like Facebook, Twitter, Youtube and Google+. You can even configure the way you share videos either mobile sharing or High quality videos. In future this gadget will evolve as a “LooxcieLive”. Concept here is “see-what-i-see”. It transfers live video so that your friends can see what you are currently starring at. This will be amazing real-time experience isn’t?